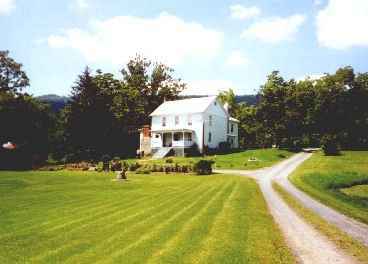 HKMI owns the Keller Homestead and the adjacent George Hottel homestead at Mt Olive, Virginia. The property consists of 392 acres of land purchased in 1750 via a land grant from Lord Thomas Fairfax. The organization also operates the Shenandoah Germanic Heritage Museum, in the Loom House at the Homestead. The museum is open to the public on weekends from March through August, and also by special appointment. There is no charge for admission. If you are thinking of coming for a visit, please call 540-436-8016 and leave your name, phone number and a brief message with the date and time you want to visit. We will call you back to confirm. George and Barbara Keller House Ruins?